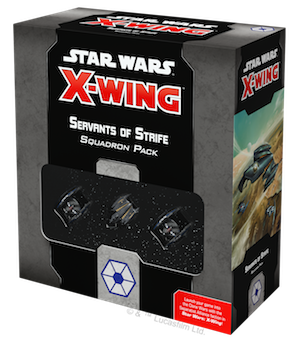 Pick up your copy of the Servants of Strife Squadron Pack (SWZ29) at your local retailer today! Pick up your own copy of the Sith Infiltrator Expansion Pack (SWZ30) at your local retailer today! 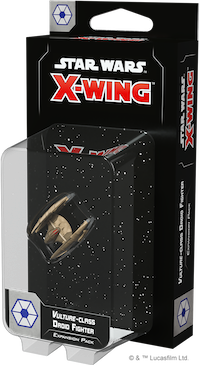 Pick up your own copy of the Vulture-class Droid Fighter Expansion Pack (SWZ31) at your local retailer today! 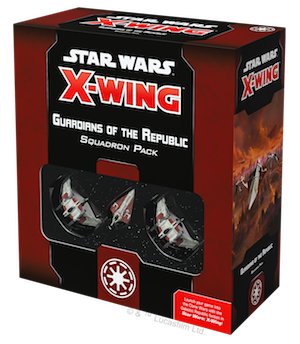 Pick up your own copy of the Guardians of the Republic Squadron Pack (SWZ32) at your local retailer today! 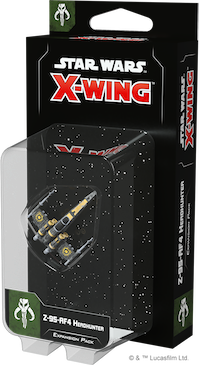 With the ARC-170 Starfighter Expansion Pack, you can bring a single ARC-170 starfighter to your X-Wing battles. 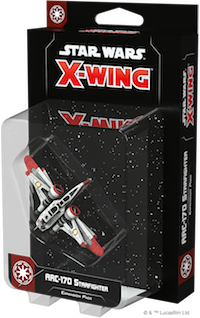 Alongside the beautifully painted ARC-170 miniature, you'll find six clone pilots ready to fly for the Republic as well as fourteen upgrade cards giving you the freedom to add additional heavy weaponry, gunners, and crew members to your ship. 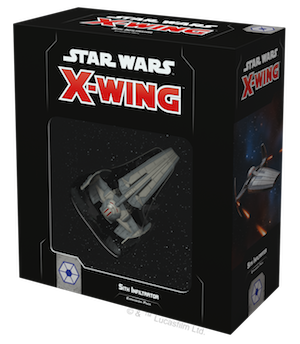 Pick up your own copy of the ARC-170 Starfighter Expansion Pack (SWZ33) at your local retailer today! Pick up your own copy of the Delta-7 Aethersprite Expansion Pack (SWZ34) at your local retailer today! 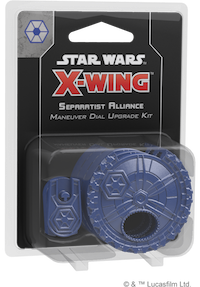 Pick up your own copy of the Separatist Alliance Maneuver Dial Upgrade Kit (SWZ35) at your local retailer today! 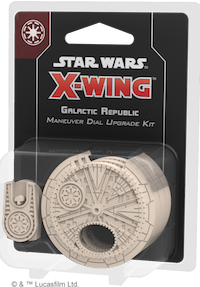 Pick up your own copy of the Galactic Republic Maneuver Dial Upgrade Kit (SWZ36) at your local retailer today! 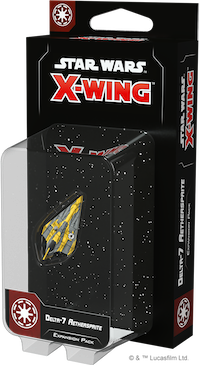 Pick up your own copy of the Z-95-AF4 Headhunter Expansion Pack (SWZ37) at your local retailer today! 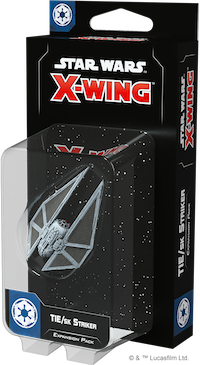 Pick up your own copy of the TIE/sk Striker Expansion Pack (SWZ38) at your local retailer today! 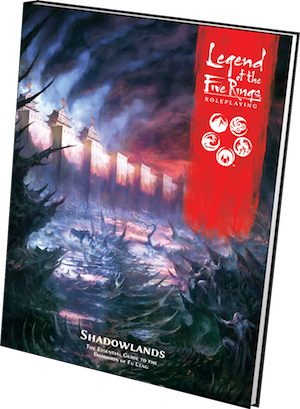 Pick up your own copy of Shadowlands (L5R06) at your local retailer today! 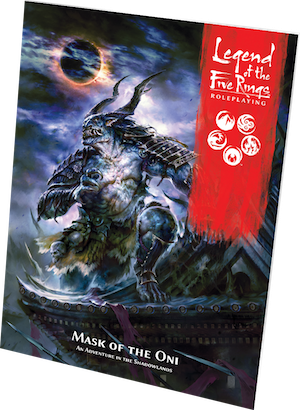 Pick up your own copy of Mask of the Oni (L5R07) at your local retailer today!